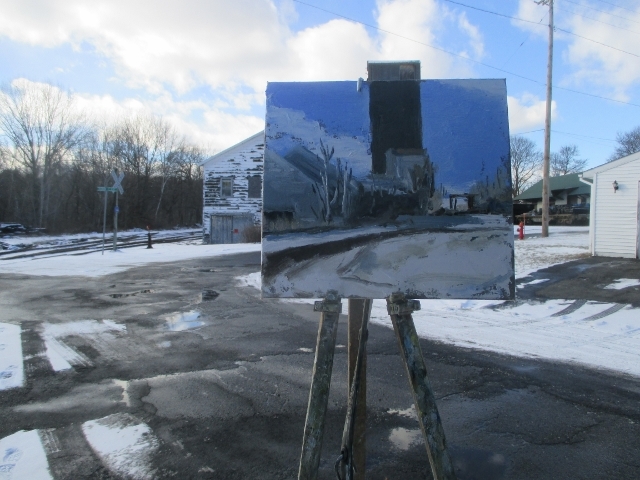 Matt Chinian Painting Blog: Depot St. Greenwich, Cold and windy at the rail yard. 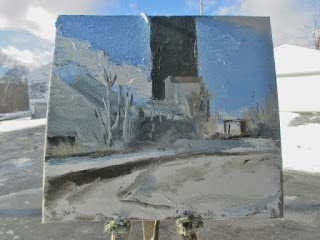 Depot St. Greenwich, Cold and windy at the rail yard. 24 wind gusts 25 m.p.h.! Today is Martin Luther King Jr. Day, and for the weekend we had friends visit; we did nothing but hang out, eat and enjoy each other's company and a good time was had by all! The weather was warm and grey, by this morning, the sky cleared and the cold moved in, so did the wind. There was sunshine (and some clouds) and I went out in it. The cold was not so bad, and I was looking in the Village of Greenwich, where I thought would be protected from the strong winds, I wasn't, or maybe they would have been that much stronger out in the countryside. 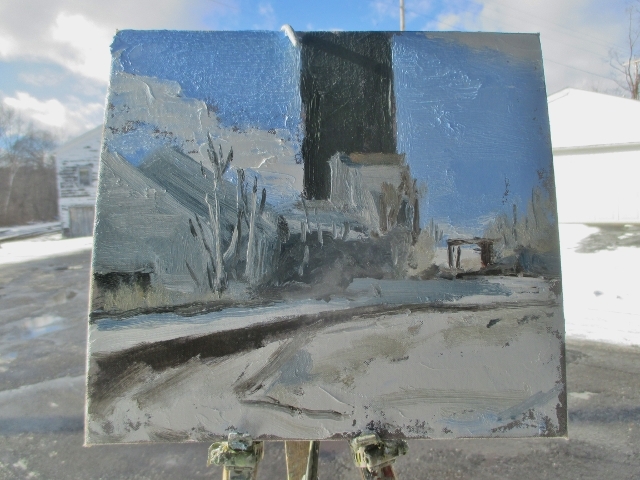 Despite my frustration with the weather, I had a great scene of the rail freight yard, much of the sort session was spent hanging on to the easel and bracing against the cold. 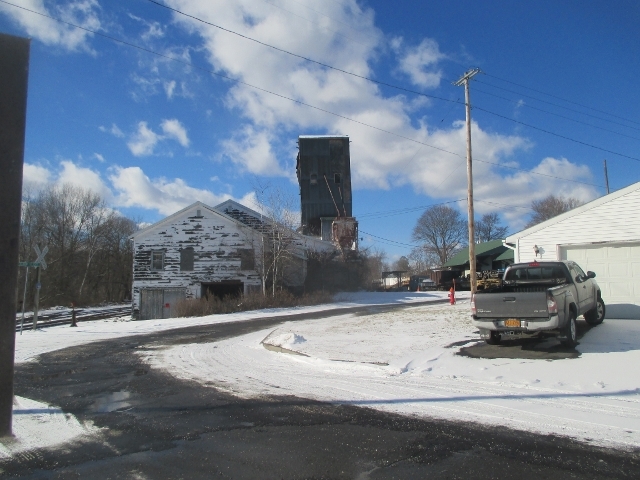 My scene at the start, often it's difficult to get back far enough to include things like this grain tower, but I was able to get it from this spot. 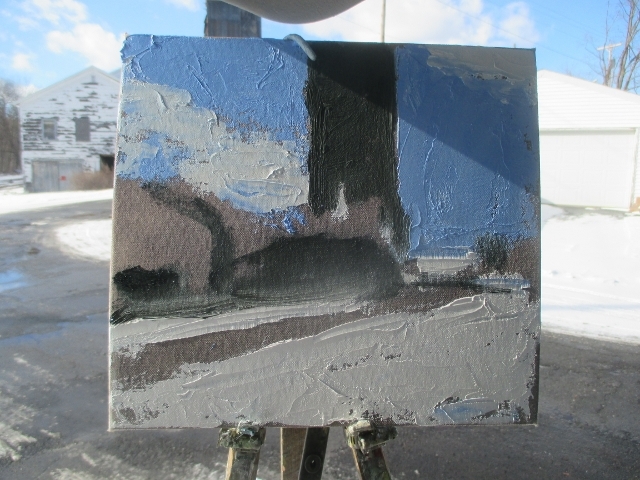 With most of the painting in play. #697 Depot St. Greenwich, NY.